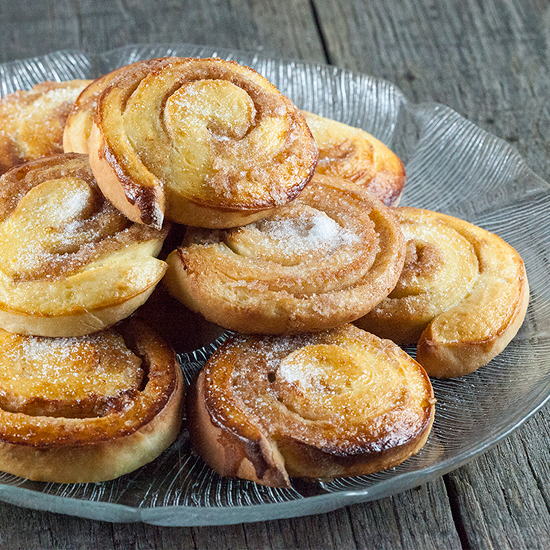 Delicious Swedish cinnamon bullar go well with a large cup of tea. Recipe for 30 cinnamon rolls, ready in 1 hour and 10 minutes. This months foodblog swap is inspired by Culi Sandra (check out the original recipe website here). These were indeed a great hit and great for Easter! 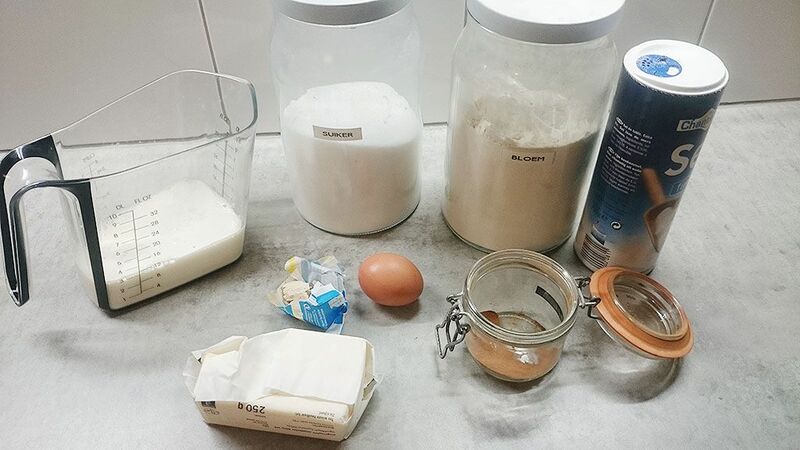 Big thanks to Sandra for sharing her recipe with us! CRUMBLE the active yeast in a small bowl. GENTLY melt 50 grams of butter in a small saucepan. ADD in 3 dl of milk and warm slowly warm up to about 40 degrees celsius or 100 degrees fahrenheit, whisk together until smooth. ADD the milk and butter over the crumbled active yeast and mix together until smooth. ADD in 50 gram sugar, salt and flour to the mixture. Make sure the dough is mixed well together. COVER the dough with cling film and let rise for about 30 minutes. MIX together 100 grams of butter, 100 gram sugar and cinnamon powder together for a smooth filling. KNEAD the dough by hand and add in a bit of extra flour if needed until the dough is nice and elastic. ROLL the dough using the rolling-pin until it’s about 30 x 40 large (12 inch x 15.5 inch). DIVIDE the sugar and cinnamon mixture over the dough and roll the dough lengthwise. CUT 2 cm (less than 1 inch) pieces from the rolled up dough. 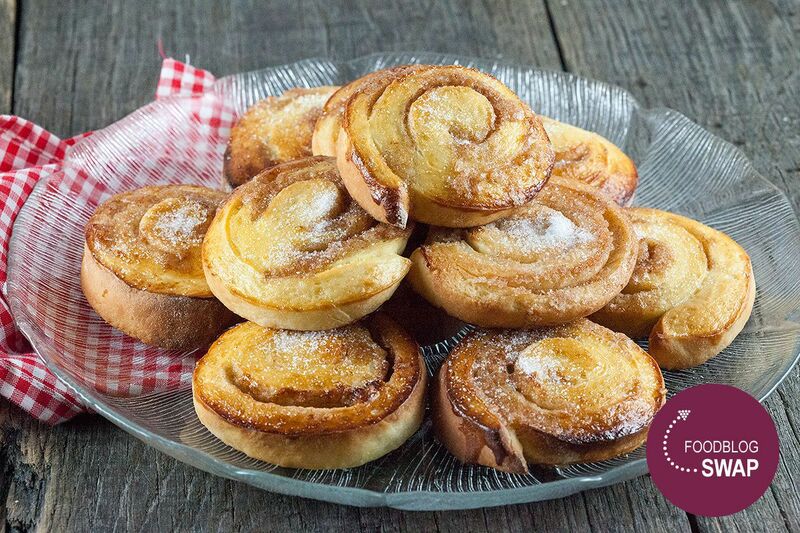 PLACE the cinnamon roll cuts on a pre-lined baking tray and cover with a large kitchen towel for 20 minutes. PRE-HEAT your oven to a temperature of 250 degrees celsius or 490 degrees fahrenheit. BASTE the pieces of bullar with whisked egg. BAKE the Swedish cinnamon rolls golden brown in about 8 minutes. Afterwards, let the cinnamon bullar cool off on a cooling rack en dust with more sugar if you like. 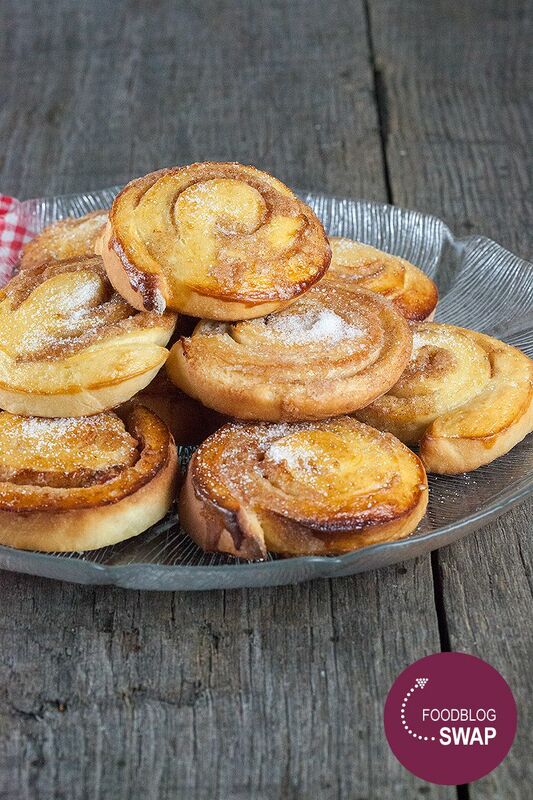 STORE the Swedish cinnamon bullar into a closed container for up to 2 days, enjoy!